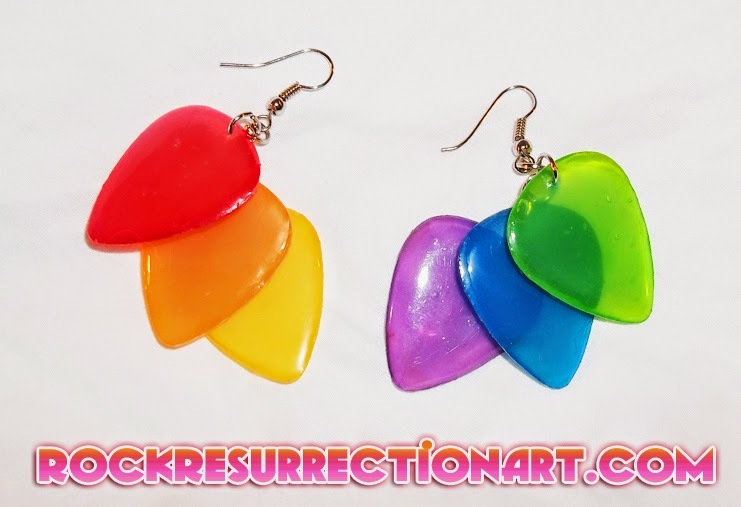 One of the most popular items I've created recently are my Rainbow Guitar Pick Earrings! They take just a bit more time to make because I have to layer each pick in Mod Podge. They aren't heavy either -- which is super cool! They look GREAT in the sun, in fact lot of folks say they look like candy. I can do guitar pick earrings like this but with any colors you like! I have over 20 different colors! 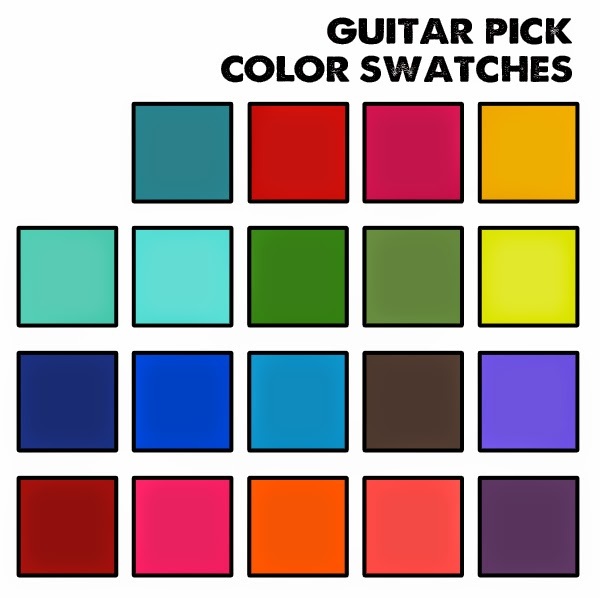 Black, White, Blue, Green, Gray, Pink, Purple, Red, Clear, Yellow, Teal, Orange, Salmon, Light Purple, Light Green, Light Blue, Hot Pink, Mauve, patterns Zig Zag and Harlequin. ✓ If you would like some guitar pick earrings like this click here.